The second quarter of the year 2018 in SELL Foundation was full of activities. The Resource team strive to see that the programme of the year was followed sequentially. Some of the activities carried out in the second quarter include: Trainings for SELL facilitators (Jalingo, Yola and Maiduguri), workshop with inmates and officers of the Bauchi Prison, workshop with youths in Calabar and workshops and Training in Lagos. 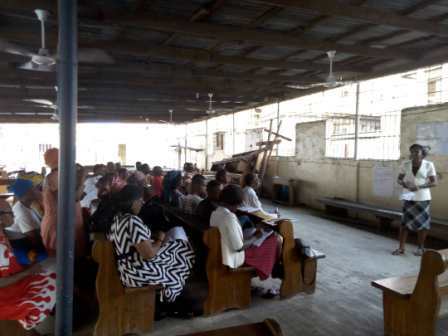 The Sharing Education and Learning for Life (SELL) Foundation, Nigeria has commenced training of facilitators on two of the new units introduced to compliment the old units that have been in existence since the commencement of the programme ten years ago. This follows the outcome of project evaluation conducted by SELL foundation in 2016. Jalingo, Yola and Maiduguri Communities are the first community volunteers of the foundation to be trained on the newly introduced units on Advocacy and Lobbying; and Gender reconciliation which aim at empowering young men and women in the communities with the requisite skills to enable them effectively champion the development drive and effect the necessary changes in their communities. The training of trainers was rolled out to facilitators in Jalingo from the 3rd to 8th April, 2018 at sacred heart Minor Seminary Jauro Yinu in Jalingo. Similarly, the training was replicated in Yola and Maiduguri communities from the 15th to 20th May, and 24th to 29th July 2018 at the Bishop Patrick Sheehan Pastoral Centre Yola, and St. Mary’s Catholic Church Damaturu, Yobe State respectively. 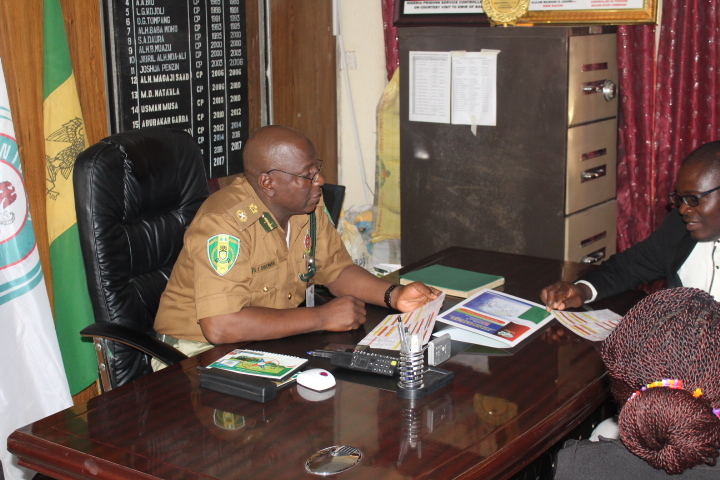 In line with the mandate to reach out to vulnerable groups with the SELL formation programme, the Foundation is collaborating with the Bauchi State Prisons Command to run the SELL programme for the Prison inmates and welfare officers. Four workshops have so far been conducted in the prison with them from May to August 2018. The first workshop focused on a bonding exercise where inmates were asked to represent their anger in a diagram, followed by a photo language session where most of the inmates after robust discussions had the opportunity to express their feelings and experiences and reasons behind their choice of pictures. The second workshop centered on Joharis window as inmates were introduced to the four different window panes as propounded by Joseph Luft and Harrington Ingham. The third workshop looked at River of Life. The inmates were taken through different stages of life from birth to the very present stage. The session challenged them to reflect on their lives’ journey with emphasis on sad and good memories and how they can relive the good memories and learn critical lessons from the sad experiences. The fourth workshop dwelled on Tree of Life. This session introduced the inmates to the importance of life in the community and the Nation at large. They were encouraged to see life beyond their prison term and to build resilience towards confronting the challenges that they may face at the end of their prison term. While sharing their lessons and insights during the workshops, one of the inmates who have been in detention for the past 15 years said “I picked this picture because it gives me hope for the future despite the situation I find myself.” He expressed optimism that as human, when you follow the way of truth your life will be better. He continued that as long as we live, we should also remember that death is inevitable. He encouraged the younger inmates to keep hope alive and always embrace any opportunity given so as to become better people after their prison term. Another inmate also responded that being part of the workshop has given him a reason to be positive and optimistic. Another inmate said the journey of life never ends till death. He added that the journey of life is full of sad and happy memories but it all depends on how one lay his bed. He ended by saying that from the first day SELL came to have programme with them, he has learn to be positive even in prison and promised to amend his ways because the future ahead is bright. The inmates appreciate the SELL Foundation for identifying with them and for helping them to become aware of whom they are, hence making them have hope for the future. All sessions were conducted in an interactive manner where most of the inmates were able to express their feelings. SELL In Cross River State, Calabar: SELL Nigeria is domiciled in the North East; however demands usually come from young people across the country. Calabar is one of SELL’s satellite areas. 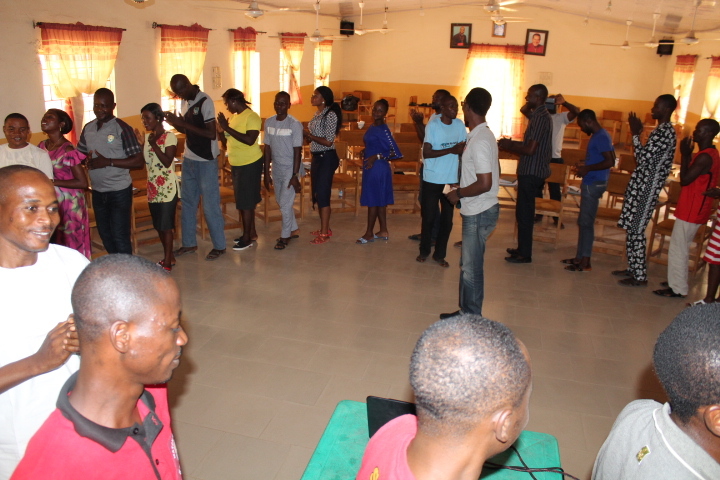 On the 26th to 28th a workshop took place at St Patrick’s Parish Ikot Ansa, Cross River state with the youths. Areas explored were how to manage group dynamics and enhance peace building process and conflict resolution. Participants were introduced to problem, solution and reconciliation analysis tools. Emily Yinala and Beji Jibe facilitated the workshop. 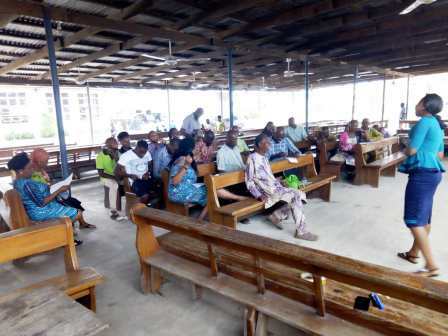 TRAINING/WORKSHOP IN LAGOS ARCH DIOCESE: The month of June is usually an eventful month for SELL resource team in Lagos. This year came with a difference as the team did not only conduct workshops but trained facilitators who will run SELL programme in Lagos and its environs. 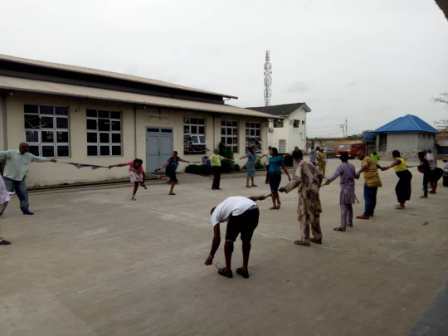 The team arrived Lagos on the 10th June and began work on the 11th to 12th June with the Youths of St Joseph Kirikiri and on the 13th to 16th June, they had session with leaders of different groups which includes CMO, CWO, CYON and YCW on effective leadership at St. Margret Catholic Church Olodi, Apapa while on the 17th to 23rd they held training at Ijebu-Ode where 24 young men and women including Rev. Sisters were trained on Self awarenes and facilitation skills. Following the excellent work Carefronting Nigeria is doing in the area of trauma healing, SELL foundation adopted the Trauma Consciousness and Resilience (TCR) basic workshop training manual authored by Maji Peterx of Carefronting Nigeria to train its volunteers across the North East and Plateau States. 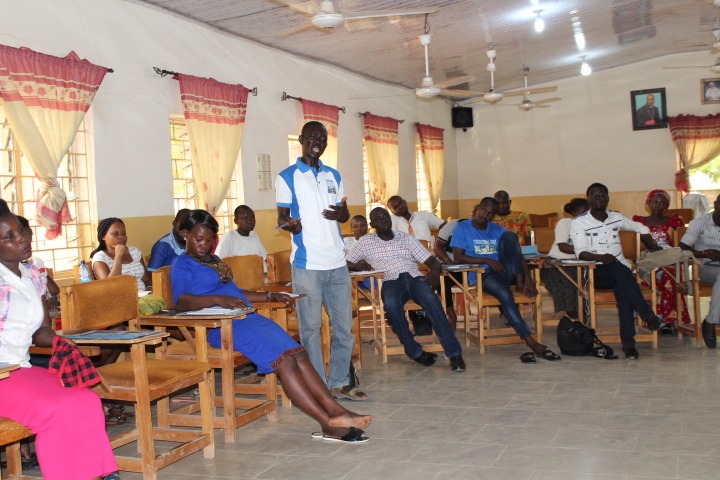 The training which lasted for five (5) days kick started with the arrival of participants at the Youth Formation Centre on the 10th of July, 2018. It began properly the next day with an opening Mass celebrated by Fr. Patrick Esekon the Director of SELL Foundation. Fr. Patrick in his remarks welcomed all participants and encouraged them to take away every means of distractions and focus on the reason they left their comfort zones to Bauchi to be part of the TCR training. The training featured seven different sessions beginning from 8am to 6pm daily. The training was concluded on the 15th of July 2018. In the quest to reach out to none English speakers, the training was replicated to another set of thirty two (32) within the North east and Plateau State, Nigeria in Hausa Language where each community has four to five representatives, and five representatives from the Bauchi prison staff. The training took place at the Youth Formation Centre, Bauchi from 31st July to 5th of August, 2018. Learn the importance of self care.